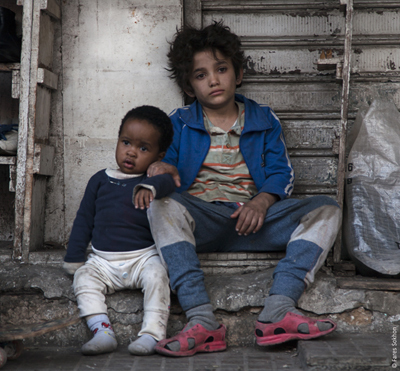 Synopsis: Capharnaum is a socially charged neorealist parable of the will to survive and childhood ingenuity, charged with emotion interlaced with warmth and humour. After being jailed for committing a violent crime, Zain, a mistreated 12-year-old boy, sues his parents for giving him life. Zain is part of a large family that lives hand to mouth in a crammed, crumbling apartment. The kids work instead of attend school as their parents cannot afford it. When his 11- year-old sister is sold into marriage out of desperation, Zain flees his troubled family in the hope of finding a better life. An illegal Ethiopian worker, Rahil, takes pity on Zain while he is wandering the streets begging. She takes him to her shanty house where she lives with her baby, Yonas, and lovingly cares for Zain in a way his parents never did. Zain is suddenly left as Yonas' sole caretaker when Rahil disappears, and is forced to resort to increasingly desperate measures to survive. Director Nadine Labaki (Where Do We Go Now?) cast non-professional actors from backgrounds similar to their characters, resulting in authentic and extraordinary performances that you will not forget. Question: Why did you choose to call your film Capharnaüm? Nadine Labaki: The title imposed itself without my really being aware of it. When I started thinking about this film, my husband Khaled suggested that I write all the themes I wanted to talk about, all my obsessions at that time, on a whiteboard in the middle of our sitting room. It's how I usually proceed with the ideas I want to develop. Looking back at the board some time later, I told Khaled: In fact, all these topics make a real "capharnaüm". That's what this film will be: (a) capharnaüm. Question: And what were the first themes you wrote on that board? Nadine Labaki: The idea of building the film around the question of mistreated childhood was born in parallel to this brainstorming. It followed a heartrending moment that happened right around the time I was working on these ideas. Coming home from a party at around 1 a.m., I stopped at a traffic light and saw, just below my window, a child half-asleep in the arms of his mother, who was sitting on the tarmac, begging. What hit me hardest was the fact that this two-year-old wasn't crying; he seemed to want nothing more than to sleep. The image of his eyes closing wouldn't leave me; when I got home I had to do something with it. I drew a child's face yelling into adult faces as if blaming them for bringing him into a world that deprived him of all his rights. From there, the idea for Capharnaüm started to grow, taking childhood as its starting point because, obviously, this is the phase that shapes the rest of our lives. Question: So what is the subject of your film? Question: What "lever for action" does Capharnaüm, and your cinema overall, represent? 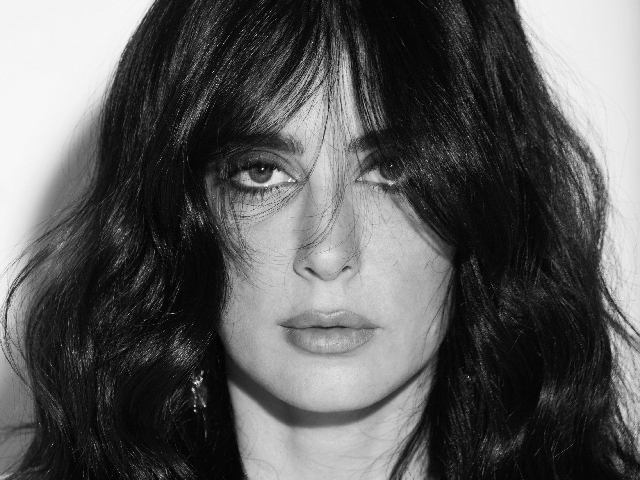 Nadine Labaki: I see cinema first as a means to question – and to question myself about – the current system, by presenting my point of view of the world in which I'm evolving. Even if through my films, Capharnaüm, in particular, I portray a disturbing and raw reality, I am profoundly idealistic in as much as I believe in the power of cinema. I'm convinced that films can, if not change things, at least help to open a debate, or make people think. In Capharnaüm, instead of lamenting the fate of this child I saw on the street and feeling even more powerless than I am already, I chose to use my profession as a weapon, hoping to succeed in having an impact on the child's life, if only by helping people to become aware of the situation. The trigger was my need to shine a raw spotlight on the hidden face of Beirut (and most large cities), to infiltrate the everyday lives of those for whom destitution is like a fate they can't escape. Question: All the actors are people whose lives are very similar to those of the characters of the film. Why did you make this choice? Nadine Labaki: Yes, Zain's real life is similar (in several respects) to that of his character. The same goes for Rahil, a person without papers. For the character of Zain's mother, I was inspired by a woman I met who had had 16 children, living in the same conditions as in the film. Six of her children had died; others were in orphanages because she couldn't care of them. The woman who played Kawthar did in reality feed her children sugar and ice cubes. In this casting where even the judge is a judge in real life, I was the only "wrong note". That's why I wanted my part to be minimal. The word "play" used for acting has always been a problem for me, and especially so in the case of Capharnaüm, where absolute sincerity was key. I owed this to all those for whom the film serves as a banner for their cause. It was crucial that the actors knew the conditions we were showing, to give them a legitimacy when speaking of their cause. Anyway, I think it would have been impossible for actors to portray people with such heavy baggage, who are living in a hell. In fact, I wanted my film to get under the skin of my characters rather than the other way around. Street casting was an obvious choice, and as if by magic, because I am convinced that some force protected our film, it all fell into place. As I wrote my characters, they emerged on the street and the casting director found them. I just had to ask them to be themselves because their own truth was sufficient, and I was fascinated, almost in love with who they are, the way they talk, react and move. I am happy because it was also and above all a way to offer them the film as a place to express themselves, a space in which they were able to expose their suffering. Nadine Labaki: Zain has no documents and so, in the legal sense, he doesn't exist. His case is symptomatic of a problem raised throughout the film – the legitimacy of a human being. Throughout my research I encountered so many similar cases of children born undocumented because their parents couldn't afford to register their births, who ended up invisible to the eyes of the law and society. Since they are undocumented, many end up dead, often from neglect, malnourishment or simply because they have no access to hospital treatment. They die without anyone noticing, since they don't exist. They all say – and my research is there to prove it – that they are not happy to have been born. Nadine Labaki: My daughter Mayroon is very close in age to Yonas; my milk came in at the same time as Rahil's in the movie. This double experience, lived through on set and in my private life, when I had to juggle between the two, has certainly heightened my relationship with the film and with this overwhelming adventure. Even if I had to go home to breastfeed in between shots, even if I hardly slept, an inexplicable force inhabited me throughout the shoot… It was incredible. Question: Rahil is Ethiopian – was this a deliberate choice? Nadine Labaki: Unconsciously, I wanted the heroine of this film to be a woman of colour. In Lebanon, so many girls like Rahil leave their families, their own children, to work for other families where they become invisible women, forced to cut themselves off from any emotion, from the right to love. They're often the victims of racism or ill-treatment by employers who don't view them as they do their other employees, for the simple reason that they are women of colour. They are not allowed to love or have children… Here again, the scene at the lawyer's (where Harout has to pretend to separate from Rahil in favour of a Filipino employee who will bring more 'prestige' to the family) embodies the incongruity of a system that not only considers these women as property but also categorizes them. My desire was therefore to celebrate these women as they deserve to be celebrated. Question: What were the similarities between the film and what took place in real life? Nadine Labaki: There were numerous resonances, which made this adventure quite magical. First of all, the day after we shot the scene where Rahil is arrested in the cybercafé, she was arrested for real, for not having any papers. It was hard to believe. When she starts crying as she is being thrown into prison in the film, her tears are real, as she had lived through that very experience. And it was the same thing for Yonas, whose real parents were arrested during the shoot. The young girl who plays him (her name is Treasure) had to live with the casting director for three weeks. All these moments, where fiction and reality conjoined, without doubt contributed to the film's truth. Question: The film also addresses the question of migrants. Was this important? Nadine Labaki: In the film, the topic is broached through the character of Mayssoun. It was important to me to talk about this through the children who fantasize about these voyages about which they know nothing – these children who are thrown into adulthood, into hard and brutal lives, against their will. Question: Do you consider this film as a documentary? Nadine Labaki: Capharnaüm is a fiction, all the elements of which I have lived and witnessed while I was researching. Nothing is fantasy or imagined; on the contrary, all you see is the result of my visits to impoverished areas, detention centres and juvenile prisons, which I visited alone, hidden behind sunglasses and a cap. This film demanded three years of research, as I needed to be able to master my subject, to see everything with a naked eye, in lieu of having lived it. I realised while doing this that I was tackling a complex and sensitive cause, one that touched me all the more since it was foreign to me. I realised that I needed to merge with the reality of these human beings, to immerse myself in their stories, their anger, their frustration, so I could best convey it through the film. I had to believe in the story before I could tell it. The shoot took place in impoverished parts of town, between walls that have witnessed identical tragedies, with a minimum of sets, and actors who were asked simply to be themselves. Their experience was directed so it could serve the work. And this is also why the shoot lasted 6 months and we ended up with over 520 hours of rushes. Nadine Labaki: The fact that Zain sues his parents represents a symbolic gesture in the name of all the children who, having not chosen to be born, should be able to demand from their parents a minimum of rights, at least the right to be loved. I wanted the trial to be credible, through the intervention of television cameras and different media who help Zain to go to court. Question: It's in the courtroom that all the characters of the film meet. Nadine Labaki: The idea of the court was necessary to give authenticity to the defence of a whole community of people. This hearing allows their voices – oppressed and ignored – finally to be heard. For that matter, when Zain's mother defends herself to the judge, I asked her to do what she would if she had to defend her own cause in real life to a lawyer. She expressed herself as Kawthar, allowing her to voice what has been forbidden her throughout her life. The tribunal is also there to confront us with our failure, our incapacity to act in the face of the poverty and destitution into which the world is falling. Question: Isn't this also a way to force us to judge? Nadine Labaki: On the contrary. The court exists to force us to see and hear different points of view, different opinions. We blame the parents, then we forgive them. This comes from my own experience. When faced with mothers who neglected the rights of their children, I caught myself judging them. But the more I heard their stories, the hell they lived through, the clumsiness and ignorance that often led them to commit great injustices towards the flesh of their flesh, it was a slap in the face. The idea is that you say to yourself, just as I did: "How could I allow myself to hate or judge these people about whose experience, whose everyday reality, I know nothing?" Question: Do you consider Capharnaüm to be a Lebanese film? Nadine Labaki: In terms of its production and location, absolutely. The story however, is the story of all those who have no access to elementary rights, education, health, and love too. This dark world in which the characters move, is symptomatic of an era, and the fate of every big city in the world. Nadine Labaki: Zain succeeds in obtaining his documents by the end of the film, Rahil restablishes contact with her son… For the two of them, in real life as well, we've managed to legalise their situation in Lebanon. For once, I didn't want the happy ending to be confined to the screen and I hope it will happen in real life through the debate the film can open. Capharnaüm has allowed the actors an outlet, a space where they are allowed to cry out their suffering and be listened to. Just that is a victory. Question: Ideally, what ambitions do you have for Capharnaüm? Nadine Labaki: The ultimate dream would be to push those in charge to establish a bill that would set up the basis of a genuine structure to protect ill-treated and neglected children. To give back to these children, who are nothing but God's will or the fruit of a satisfied sexual urge, some kind of sanctity.